Note, you could substitute walnuts for pecans, or use a combination of both. 1. Preheat your oven to 400F. 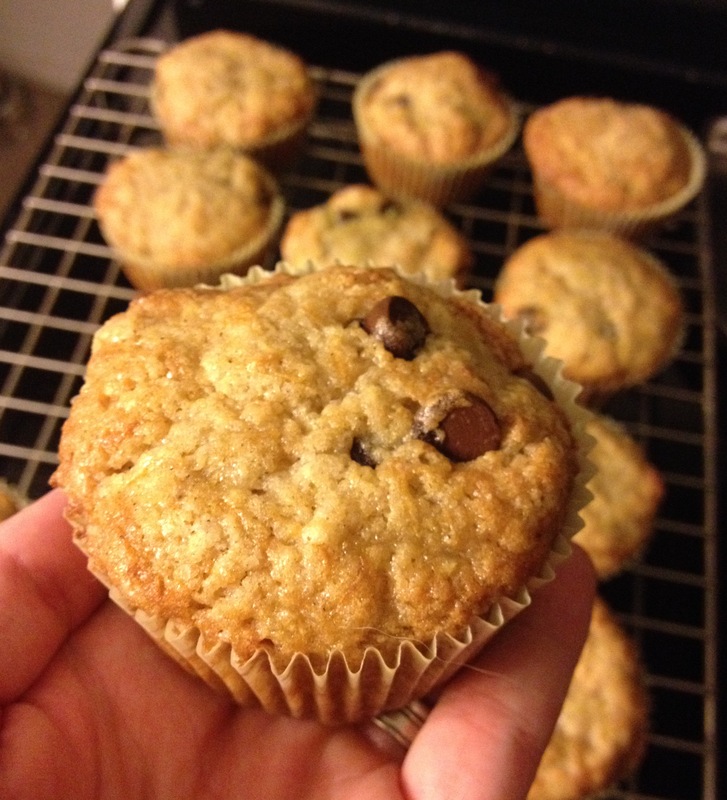 Line a muffin tin with cups or use cooking spray so the batter does not stick. 2. Whisk together the flour, baking powder and soda, salt and cinnamon. 3. In a separate, large bowl, whisk the eggs and sugar. Stir in the apples and any accumulated juices. Let the wet mixture stand for 10 minutes. 4. To the wet mixture, add the melted butter and walnuts. 5. Add the dry mixture to the wet and fold until just combined. DO NOT OVERMIX. 6. Spoon the batter into the cups and bake 14 – 16 minutes, or until a toothpick inserted into the middle of a muffin comes out clean. Let the muffins cool for a couple of minutes before you remove them from the pan.